Welcome to the HKIS service program! We are pleased to present the various components of our program that have developed gradually over the past twenty years.The school has never adopted any form of service requirement; the programs have been driven primarily by student interest and have therefore developed organically over the past two decades. 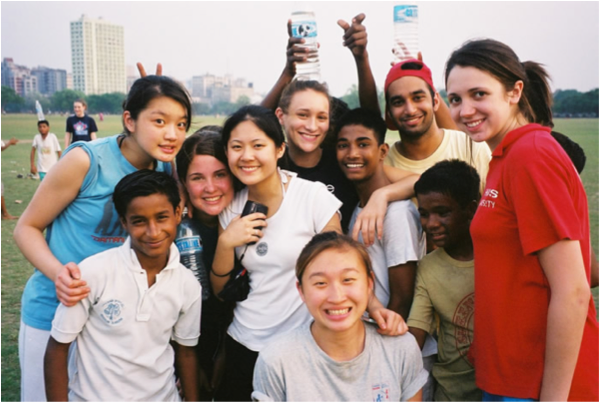 Over the past twenty five years, HKIS has developed a wide array of service opportunities for students. The change in the school’s culture in these years has been wide and pervasive. At the high school more than 95% of students are involved in some form of school-sponsored service activities every year. 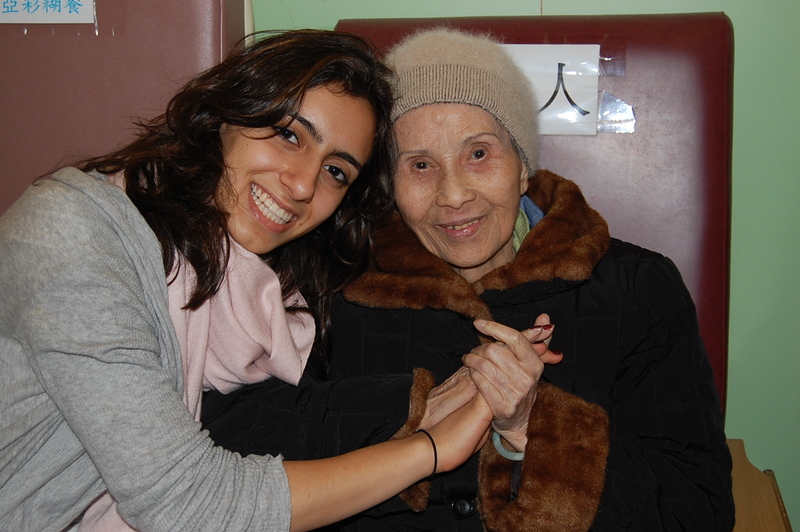 Growth in service learning among older students has had a ripple effect upon students at the lower levels. Through service at HKIS, students will develop an emotionally engaged understanding of the world, the self-efficacy to make a positive difference in the lives of others, and a commitment to an ongoing journey of action and reflection for the purpose of benefiting society. Humanities I in Action: Grade 9 full-year core humanities course. 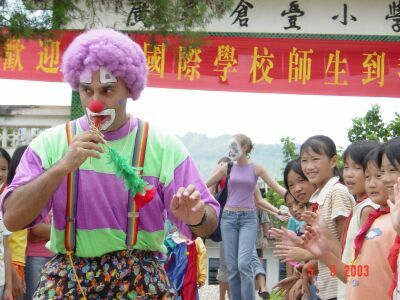 Students may choose to take the regular course, Humanities I, with its cultural and geographical approach, or this service-learning course, which includes 10 Saturday outings and a weekend trip to an orphanage in southern China. This year there are 4 sections of this class involving 80 students. Humanities II in Action: Starting in August, 2018, a second year of the “in Action” approach will be available to students. Four sections of “in Action” II will be taught in 2018-2019. Asia History in Action – Cambodia: Grades 10-12 students. This course studies the history of Cambodia and includes two weekend trips to explore the history and contribute to development work in the country. Two sections are being offered this year. Service, Society, and the Sacred: Mostly grade 12 students. This course focuses on the inner life of students. As one student explained, SSS does for the inside what Humanities I in Action did for the outside. SSS seeks to awaken students bodies and hearts, and bring these forms of latent intelligence into sympathetic resonance with their overly busy minds. The Service on Saturday (SOS) program was started in 1995 to encourage HKIS students to engage in meaningful community service activities in the Hong Kong community. This year’s SOS program has 12 programs involving approximately 200 students. 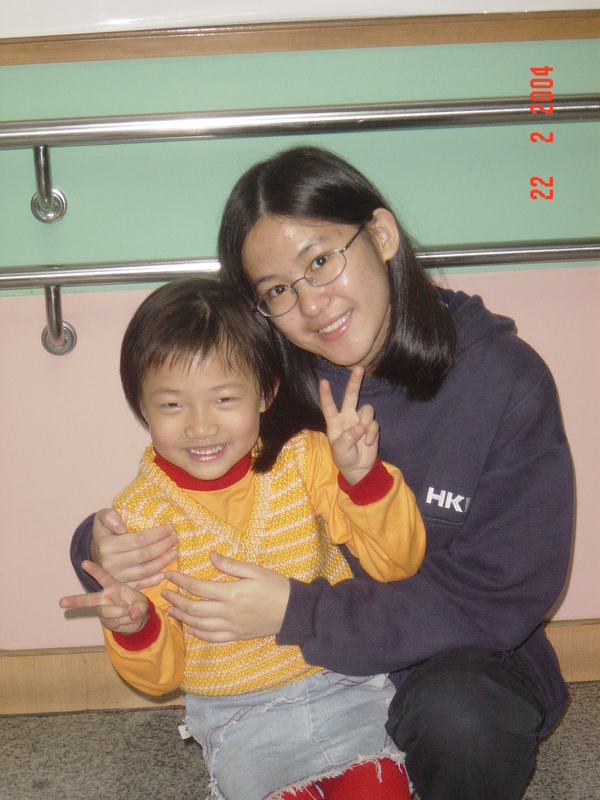 The goals of the SOS program are to provide opportunities for our students to assist local service agencies in meeting the needs of Hong Kong people, learn about the challenges facing Hong Kong society, and encourage student reflection concerning their role in building stronger communities. Venues for the Saturday program include kindergartens, elderly homes, special needs centers, and other sites. Students participate in approximately 7-8 service outings in a year. The number of service clubs has also grown apace with the huge growth service programs over the past 20 years. Some of the long-standing clubs include: Amnesty International, Animal Safety and Projection, Christina Nobel Children’s Foundation, Doctors Without Borders, Future Hope, Habitat for Humanity, Heifer, Interact, Make a Wish, Roots & Shoots, Unicef, and Z-Club. In March every year students take overseas week-long field trips to countries in Asia, the Middle East, and Europe as well as a number of programs remaining in Hong Kong. This year 22 of the 41 programs are service-related. A good number of the service interims are overly subscribed. Several of the most popular service interims are trips to Kolkata, India; Ambur, India; Mongolia; and South Africa. An increasing number of seniors are choosing a service-related Senior Project, an independent project performed by four or less students in their senior year. Students are expected to do work on this project during the second semester, culminating in a final presentation in late May. This year more than 30 students have chosen a service-related Senior Project. In 2007 the James A. Handrich Service Endowment Fund was established by several alumni as an expression of gratitude for the more than 20 years of service by administrator Jim Handrich. Seniors who choose a service-related Senior Project and provide a viable plan to use funding as seed money to further their service endeavor receive a grant from the endowment fund. This year more than $40,000 HK ($5000 US) will be dispersed to 7 groups. The establishment of this fund marked a major enhancement of institutional support for service, providing grants for student-initiated service projects at the high school. Furthermore, the creation of a future service learning center will create a space for students and teachers to develop their own visions of service leadership and to actively implement their visions as members of the HKIS community. 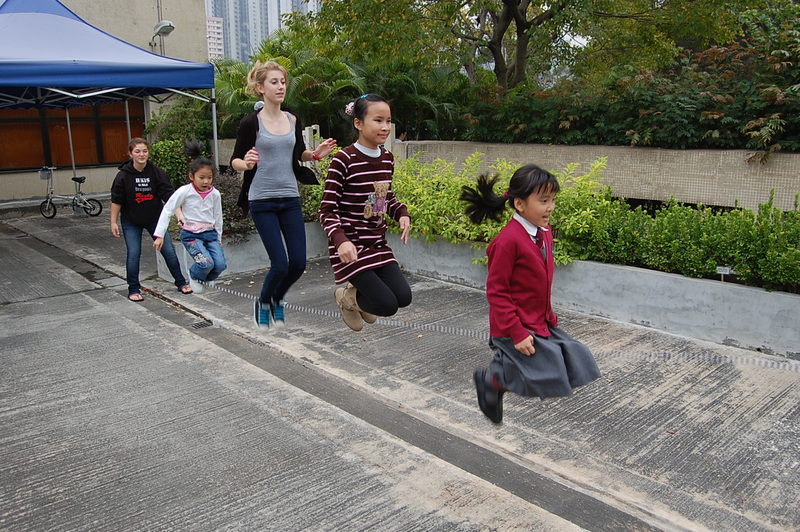 As a Christian school, HKIS stands on a spiritual foundation in which students and teachers, who have been blessed to study at HKIS and live in Hong Kong, give back to the community of their time and talents to others in Hong Kong, China, and in Asia. The establishment of the Jubilee Center aims to widen the circle of God’s blessings the HKIS community has received throughout its history. The biblical concept of Jubilee provides imagination and inspiration for communities that value well-being for all in society, especially those that are nearly invisible on the periphery. In his first public statement in the book of Luke, Jesus refers to the importance of jubilee in his public ministry. “The Spirit of the Lord is upon me because he has anointed me to preach good news to the poor. He has sent me to proclaim release to the captives and recovering of sight to the blind, to set at liberty those who are oppressed, to proclaim the acceptable year of the Lord” (Luke 4:18-19). In speaking of the ‘acceptable year of the Lord’, Jesus draws upon the Hebrew concept of Jubilee, a time when society seeks to provide greater equality and opportunity for its marginalized members. The establishment of the Jubilee Service Learning Center at HKIS reflects a commitment to this biblical vision by providing a space and resources to deepen our commitment to a fairer world in the future. This center serves the dual purpose of further developing service learning at HKIS, while opening HKIS program and facilities to Hong Kong and overseas educators. To educate students about the needs of the local, national, and global community and to provide coordinated opportunities for meaningful action responses. To nurture the emotional and spiritual needs of students who participate in service activities at HKIS. To provide leadership training and opportunities for students. To provide training for HKIS teachers who want to develop a social conscience among their students. To liaise with NGO partners to facilitate on-going community action projects. To offer training opportunities for local school teachers, especially those teaching the NSS Liberal Studies. A ninth grade interdisciplinary course, “Humanities I in Action”, aims to develop the social conscience of its students through its service learning curriculum. Humanities I in Action will be taught in the Jubilee Center. As part of the curriculum, these students will prepare presentations, displays, and simulations that may be used by other students at all divisions of the school. Teachers in local Hong Kong schools will be invited to observe classes, speak to students and teachers in these classes, and participate in training workshops that will equip them with the skills to teach Liberal Studies in their respective institutions. NGOs will be invited to have a presence within the center to facilitate on-going student projects.